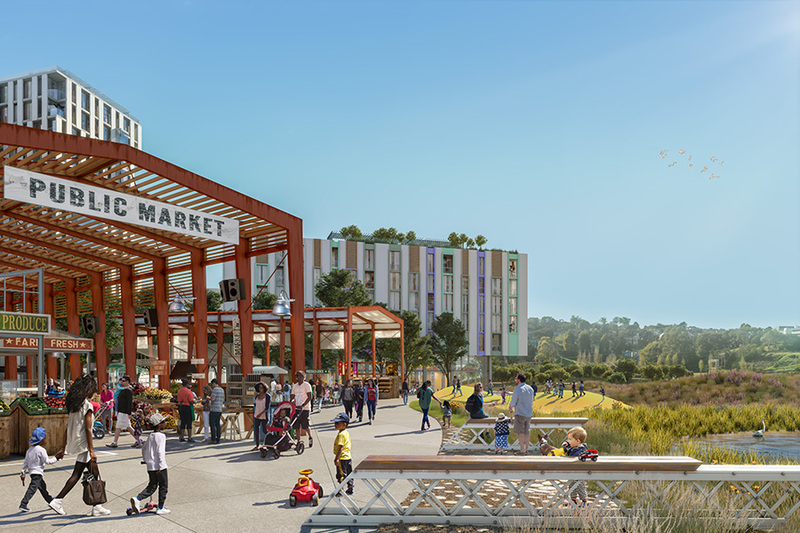 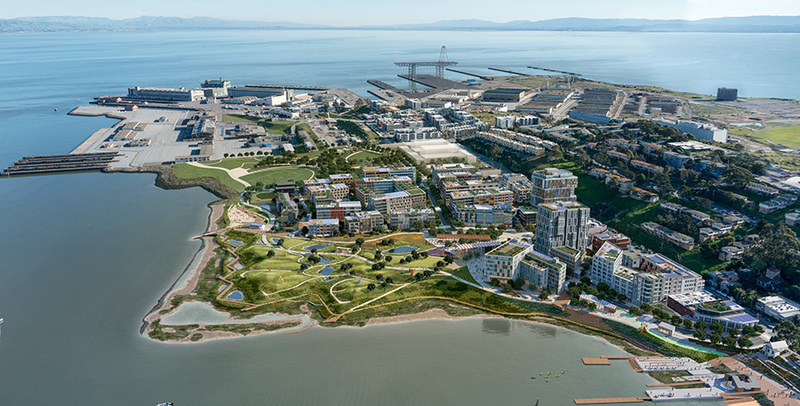 Embodying a commitment to sustainable placemaking, the India Basin project proposes the transformation of acres of overgrown former industrial land on the San Francisco Bay into an active waterfront destination and a vibrant, diverse village. 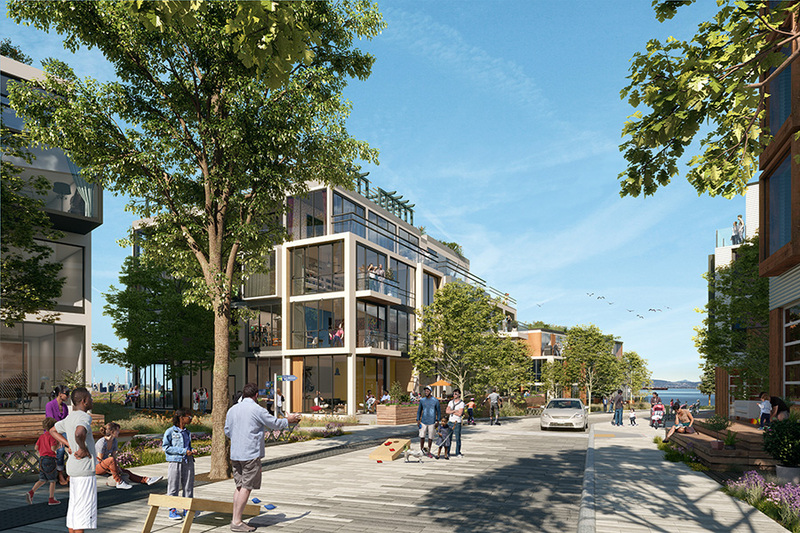 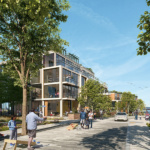 The comprehensive design reconnects surrounding communities with the shoreline, cultivates economic opportunities, and provides mixed-income housing. 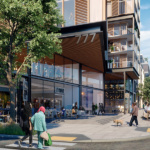 The mixed-use project creates a complete community at a human scale, with all basic services and amenities located within short walking distance. 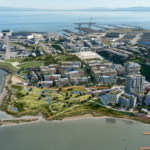 It interweaves parks, plazas, and open space with new pedestrian- and bicycle-friendly connections, as well as buildings for residential, commercial, and community-serving purposes. 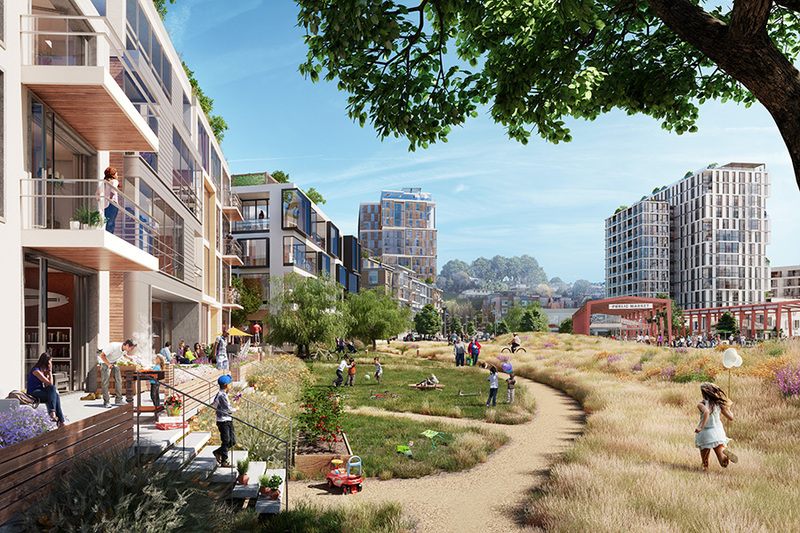 The design also embraces the existing ecology of the land. 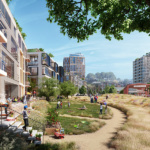 A robust stormwater management strategy links streetscape streams and bioswales (landscape elements that remove silt from runoff water) with a landscape of canals, reservoirs, and wetlands. 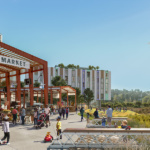 Atlanta’s Park Over GA400 seizes the opportunity to reclaim the GA400 highway void with a 2,500-foot-long public space for community gatherings and public art. 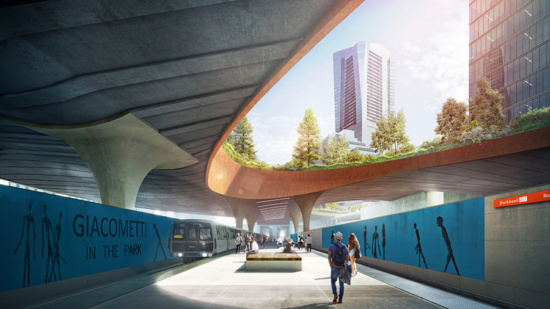 A dense cover of native trees over the highway links adjacent canopies and reduces the heat island effect, captures stormwater, and supports native flora and fauna. 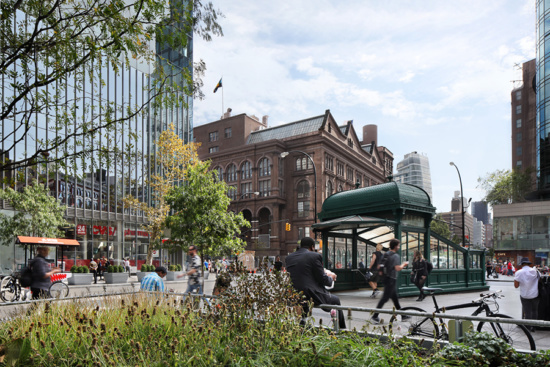 The network of streets in and around NYC’s Astor Place and Cooper Square benefitted from configurations that improve the experiential nature of the neighborhood. 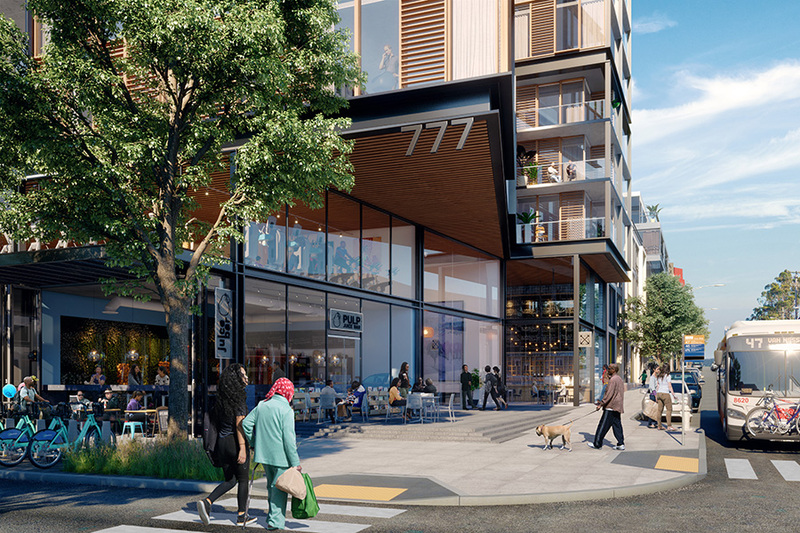 At the behest of the city’s Department of Transportation, the design team developed a rich pedestrian environment, relieved pedestrian and vehicular congestion, and created custom-designed seating throughout the plazas.